We’ve learnt over the years that there’s no such thing as a one-size-fits-all SEO plan. Of course, there are best practices and key techniques that most businesses must follow to succeed online. However, each business is unique and requires a specialist approach in order to get to the very top of Google’s rankings. That’s why we create a bespoke SEO strategic development plan for our clients who require it. The SEO plan is structured around your unique business goals and designed to complement your existing digital marketing strategy. 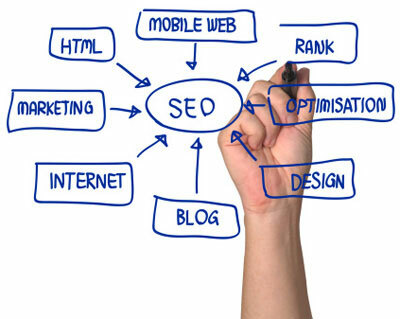 We work in synergy with you to help you rank highly and maximise your online presence. When we first begin working with you, we do a total review of your business, industry and competition in order to get a solid understanding of you and your target audience. We examine your website in detail and figure out how it fits into your overall brand and strategy. Next, we put this knowledge to work by creating a bespoke SEO plan that will give your unique business the online exposure it needs to succeed. Every decision we make is careful, considered, and designed to get fantastic results for your individual needs. Over the years we’ve built up quite the reputation for ourselves and have a proven track record of helping businesses of all sizes get the results they want from their website and digital marketing efforts. Our bespoke SEO solutions are testament to our abilities; we help businesses get the best out of their SEO and inbound marketing budget with exclusive strategies tailored just for them. Basic SEO tactics are great for beginners, but if you want to reach a higher level of exposure online and a wider, more engaged audience, a bespoke solution is essential to getting the top ranking your business deserves. We’re ready to help you get the most of your online marketing budget. To get started with Baldwin Digitals' bespoke SEO plan for your business, Just click on the button across and provide us with your details. There’s no better time to give your business the bespoke SEO boost it needs!